Not so long time ago, a friend of mine has just gave birth to a baby girl and I decided to make a small gift for the baby. 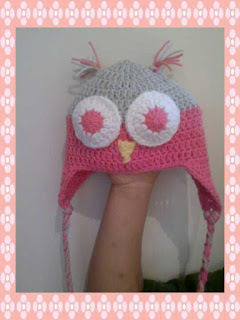 It's an Owl Hat which is very popular lately. I used Miami Novita yarn.